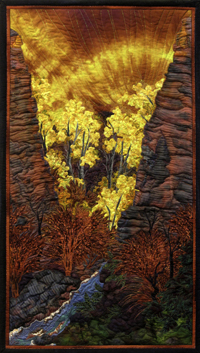 This list is only a representative sampling of the many quilts Sue has created. 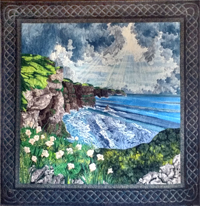 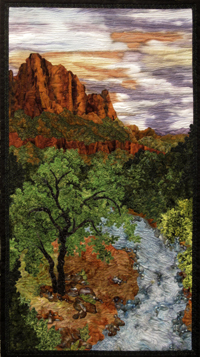 Click the images to see larger versions (and in some cases, details) of the quilt pictures. 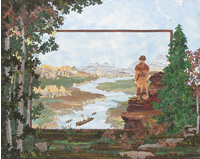 Images are not to scale, so note the sizes listed. 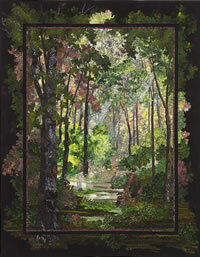 For purchase information, or to inquire about commissioned works, please go to the Purchase Information link. 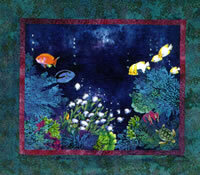 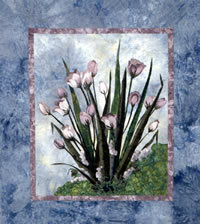 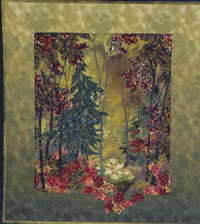 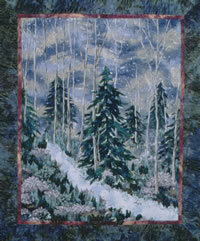 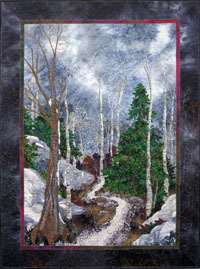 Several quilts are also now available as Quilt Art Notecards. 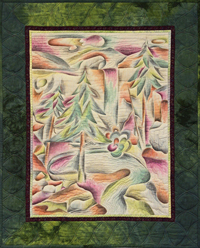 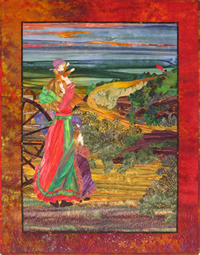 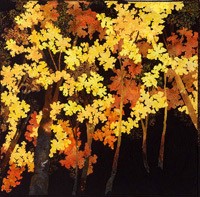 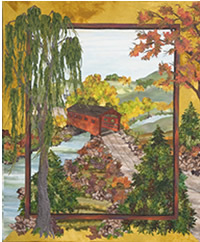 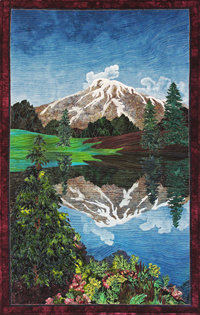 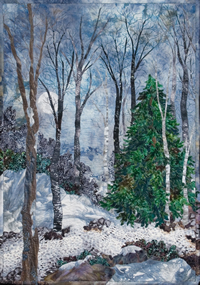 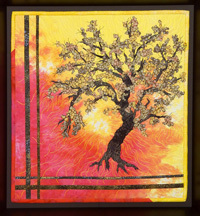 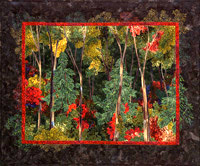 For pricing information on quilts listed "For Sale," please visit The Gilgenart Marketplace. 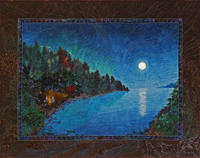 Please note: All images on this and other pages of this website are ©2017 by Susan McBride Gilgen. 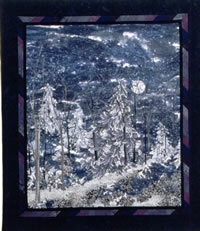 No image may be reproduced or otherwise used without prior written permission. 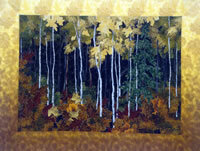 Photography by Geri Gerold Photography and by Read Gilgen. 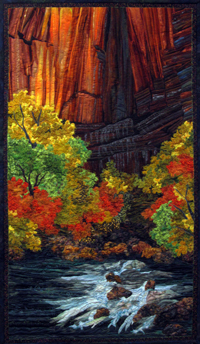 Created from a crayon painting by Sue's father-in-law, Chet Gilgen, which he made in 1947 in Logan, UT. 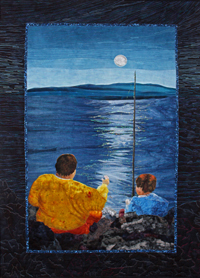 Sue's Grandson and his paternal grandpa, teaching him how to fish. 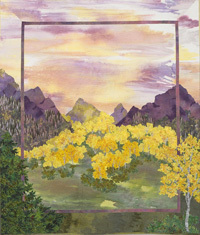 Inspired by photograph by Dell Webb. 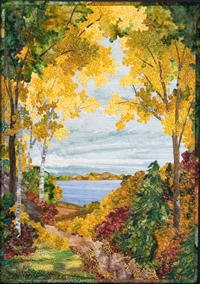 Inspired by photograph by Robert Lefkow. 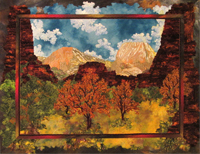 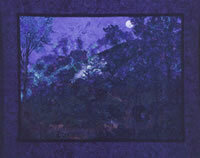 Appeared in the Ninth International Art Competition of the LDS Church History Museum, from March to October, 2012. 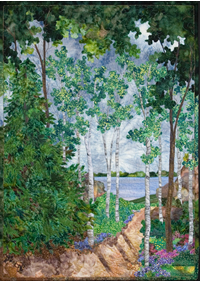 Total size: 80½" x 51"
Commissioned by the Milo and Ann Wiltbank Family. 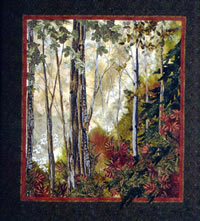 Based on photographs taken by the artist in Hawaii (Oahu). 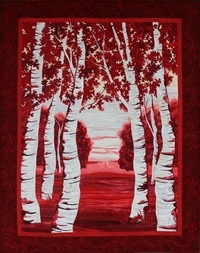 Currently resides in Madison, WI. 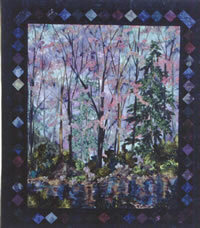 Hundreds of people viewed this quilt at the recent AQS Show in Paducah, KY. 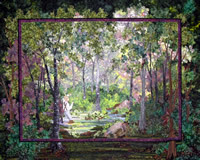 It depicts the Sacred Grove, and Joseph Smith praying to learn which church to join. 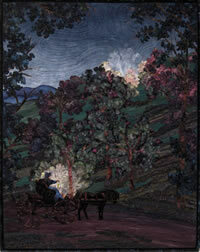 For more on the unexpected answer, and to learn about his story, please visit Mormon.org. 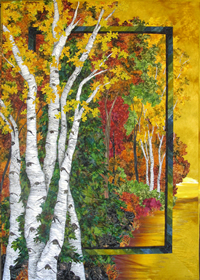 Commissioned piece, now residing in Pennsylvania. 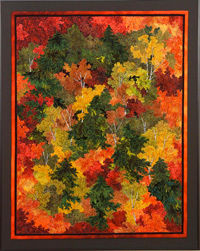 Commissioned by the Wisconsin Foundation for the Arts for the Governor's Awards in Support of the Arts (November 30, 2006). 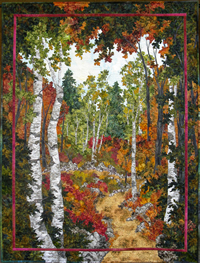 After hanging in the Governor's Mansion, this piece will belong to the Chazen Museum of Art. 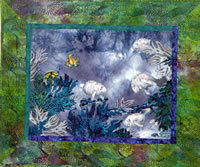 Theme Quilt for Luminations: A Textile Art Show by Sue Gilgen at Olbrich Botanical Gardens, Madison, WI, March-June 2005. 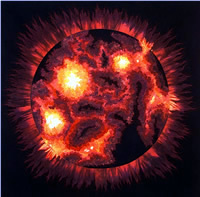 Inspired by an X-Ray photo of the sun taken from the Japanese satellite Yohkoh and made available to the public by the Yohkoh Science Team. 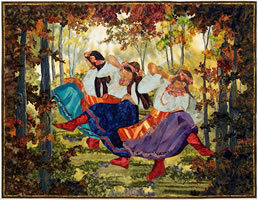 Commissioned for the US Embassy in Moscow, Russia. 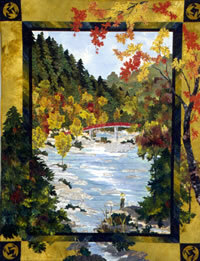 Peace Maples Along the Tomoe River. 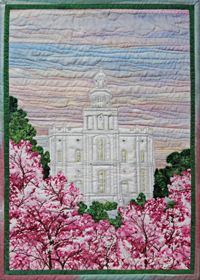 Purchased by the LDS Museum of Church History and Art, Salt Lake City, UT. 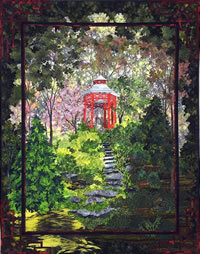 Currently resides in the King collection West Virginia. 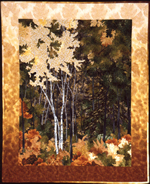 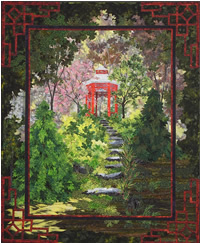 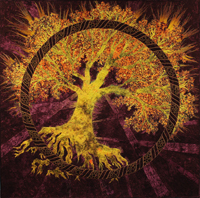 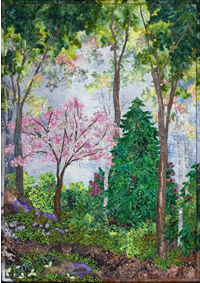 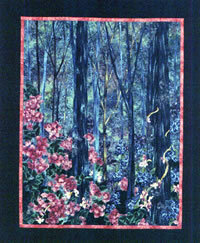 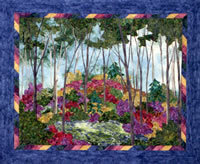 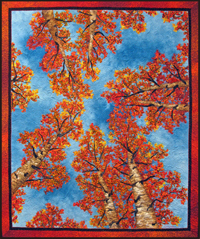 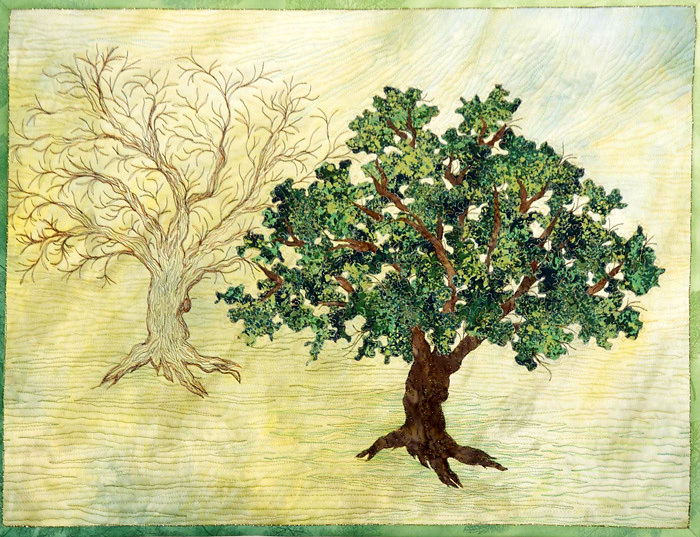 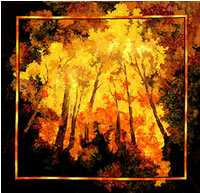 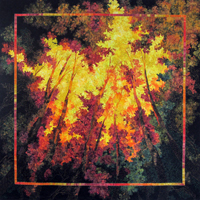 The Sacred Grove "Whence Cometh Their Faith"
* Quilts with similar colors and design can be made of these already sold quilts. 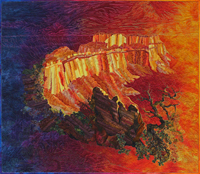 Each quilt is new and unique, not a strict reproduction. 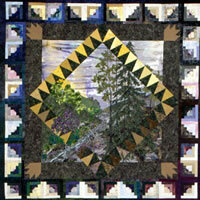 Price of the new quilt depends on size and customization.